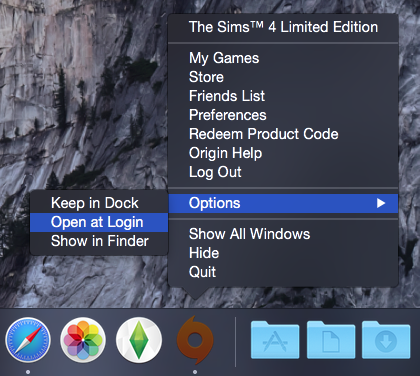 Running El Capitan on a Mac with NVIDIA graphics and can’t play Sims 4? El Capitan was released on the 30th September 2015. Reports started being posted pretty much straight away that the game was unplayable whereas before the OS upgrade it had been working fine. Can you believe that this problem still hasn’t been fixed, 5 months later? No, I’m not particularly surprised either. Anyone remember the almighty mess that EA managed to not bother with when Lion was released? Or how about the other NVIDIA issue that took them forever to fix? See what he did there? He pretty much blamed Apple for the game not working. Isn’t that the nice, easy way out? 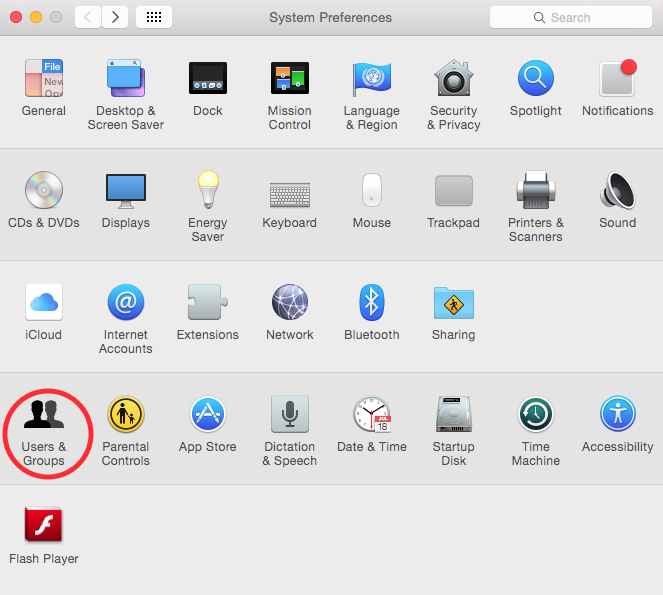 Plenty of software engineers and developers manage to keep up with Apple and support their latest OS offerings but not EA. It is irritating that graphics updates come through Apple in OS updates but that’s the way it works and EA know that. He then disappeared, never to be heard from again. He’s been tagged but never responded. It’s now the 2nd March and the game is still unplayable. This is still catching so many out but it really is very simple – if you have Mods in your game then you MUST move them out of your Sims 4 folder before updating/patching your game. You must, you have to, it’s the law. 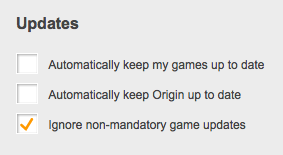 And finally, to triply make sure Origin shouldn’t be loading at startup/login, check your user account preferences. 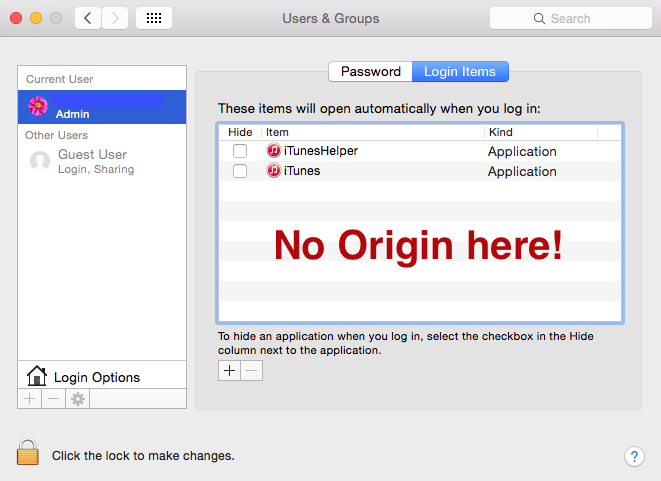 Open System Preferences then click on Users & Groups: Make sure your user account is selected then click on Login Items in the right hand pane. 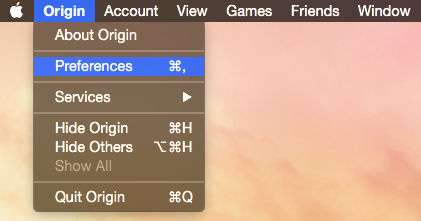 Origin should not show up there at all: If Origin is showing there simply click on it and then click on the minus (-) symbol under the window. That will remove it. MOVE THEM OUT BEFORE UPDATING YOUR GAME!